The Harmony at Home Nanny Agency Weybridge branch provides a wide range of childcare services, such as finding Live in Nannies, Live out Nannies, Nanny Housekeepers, Holiday Nannies, Emergency Childcare, Babysitters and Event Nannies. As well as helping you find nursery staff, Mother’s Helps and Nanny PA’s. Owned and personally run by the experienced childcarer Emma Kay, who has over 18 years of experience, as a Nanny as well as a Nursery worker. 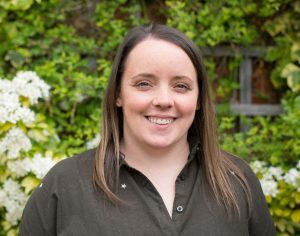 Emma is passionate about providing premier nanny finding service and works to provide professional and highly qualified childcarers, recruiting specifically to meet your personal requirements in the Weybridge area. With a large database of Weybridge nannies and with Emma’s highest levels of attention to detail, the Harmony at Home Nanny Agency Weybridge branch will find the best nanny for your family. Call Emma on 01932 943012 today. The Weybridge branch is able to provides professional childcarers in a variety of different towns, such as Cobham, Chertsey, Wraysbury and Egham, plus many more. Therefore, to contact Harmony at Home Nanny Agency Weybridge, simply fill out our registration form and Emma will contact you and talk through your needs to help establish which nannies might be suitable for you. We do not charge a registration fee and there’s no obligation to use us. Or if you have any other enquiries, call Emma today as she will be happy to speak with you. Weybridge, Walton, Chertsey, Cobham, Egham, Elmbridge Borough, Esher and Staines-upon-Thames, Wraysbury.